Everyday eye and cheek palette with 8 neutral matte and metallic eyeshadows and a wearable "warmhearted" blush. Create your own warmth as the weather shifts with this rich-toned palette featuring cozy shade names. It includes 8 Amazonian clay-infused eyeshadows with a versatile mix of shades and finishes. Finish your look with a pop of buildable cheek color using the long-wearing Amazonian clay blush. 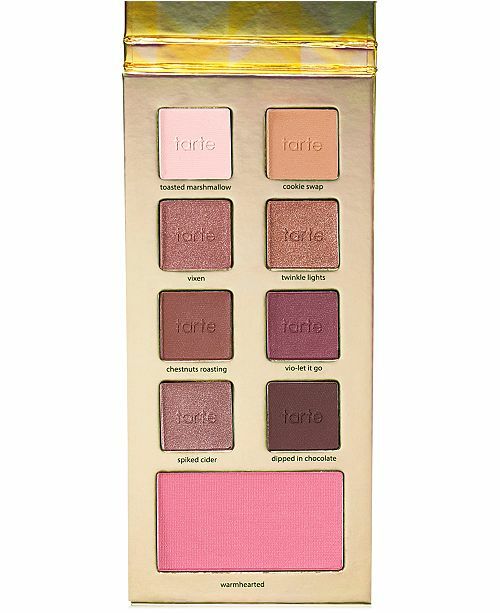 Tarte is one of my favorites! Love this palette. I was super surprised and excited to see a TARTE palette in this box. It is perfect! I love this palette. Nice to have a cheek color with the shadow.